With the Eken 8K HD Action Camera Combo say Hello to the amazing H8R Ultra HD 4K WiFi action camera now with free Remote Control! 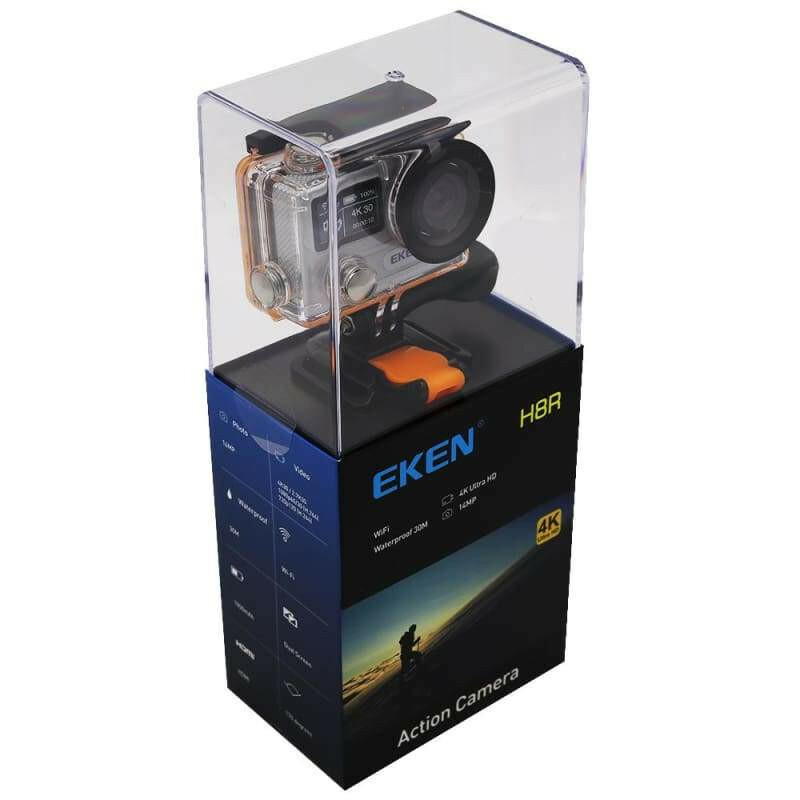 The Eken H8R can record video up to 4K resolution - 4K (3840 x 2160) is an extremely high-quality video quality and is one of the newest standards for or video recording. 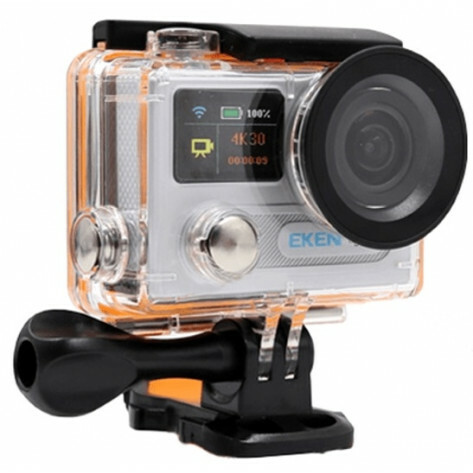 This awesome Eken H8R combo kit to get anyone looking to get started in Action Cameras everything they need to start filming like a Xtreme pro! With tons of accessories also included in the box! 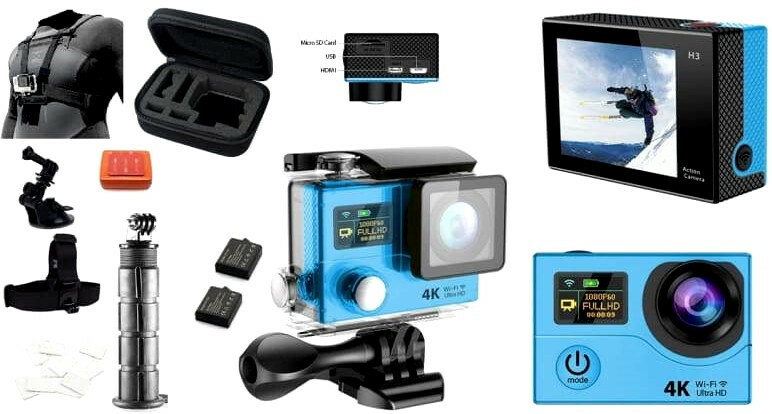 Floaty Back (R99), Suctioncup Mount (R199), Chest Mount (R259), Headstrap (R199), Heavy Duty Hand Grip (R99), Anti Fog Inserts (R99), Spare Battery (R149) and Small Trave Case (R260) in the awesome kit! 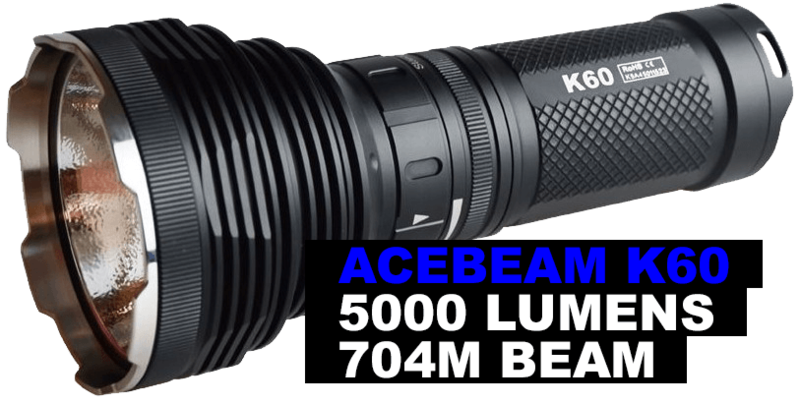 Stunning 4K30 video, 2.7K30fps/ 1080p60fps/ 720p120fps. Photo: 12MP max. Versatile Shooting Mode: video mode, photo mode, burst photo, time lapse, and loop recording mode.